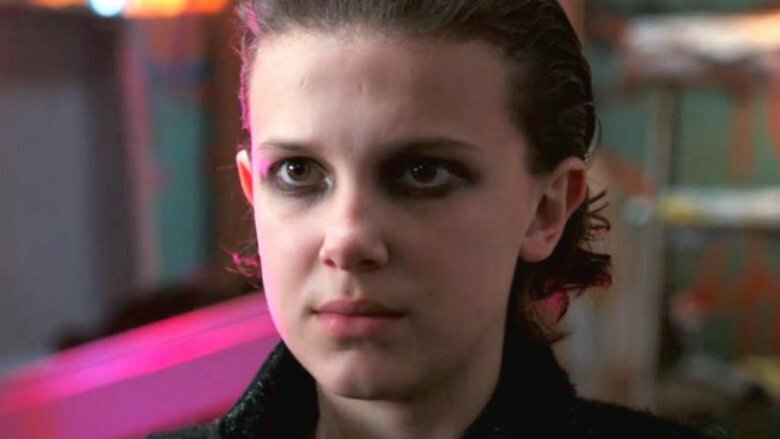 Stranger Things 3 will creep just a little closer to the '90s. While the second season picked up in 1984, about 10 months after the events of season 1, the Duffer brothers told Yahoo! that the beginning of the third season will have another time jump. But it's not because the story necessitates it. "It will have to be somewhat of a time gap, because the kids are, I mean, they already look so much older," Ross Duffer said. "No matter what we want to do, I remember when we were originally talking about season 2, we wanted to just start it in Christmas and just go from there, but then we realized the kids are just too old, so we had to jump forward." It's already becoming something of a problem. "Even the latest trailer, we had to loop a line with [Caleb McLaughlin, who plays Lucas]," Duffer said. "He sounds like a man now. It creeps me out. He's going to be driving to set next year." As for a possible endpoint for the show, Duffer said there's a plan, but no firm timetable. "We have an end goal; we know where we want to go," he said. "We're not quite sure how long it will take to get there, but we do have a plan. And some of it, it's just because season 2, we just came into it with so many ideas, and so many of them have been kicked further down the road. So we're gonna use some of those. In [our season 2 brainstorm], we figured out what that ending is, but it'll take more than one year to get there." Meanwhile, Stranger Things 2 premiered on Netflix on Oct. 27 and a ton of people binged it all on the first day.